Every purchase you make helps Salem Arts achieve its goals. Its free and easy to sign up so do it today. And please share with your friends and family. Salem Arts Association offers fun and creative events throughout the year at the gallery and around Salem. Exhibitions, workshops, artist talks, and other events are always open to the public. We hope you join us. Salem Arts Association is located at "The Bridge at 211" in Salem Massachusetts. Find our entrance on the Ash Street side of the former Universalist Society facility. Salem Arts Board of Directors will meet on alternating months in 2018. Meeting will be scheduled on the third Wednesday of the month at 7:00 PM. Meeting Agenda, previous meeting notes, and other relevant information will be email to board members prior to each meeting for review. There will be no need to print these materials. Copies will be available. Important updates and board votes may be conducted via email between meetings. 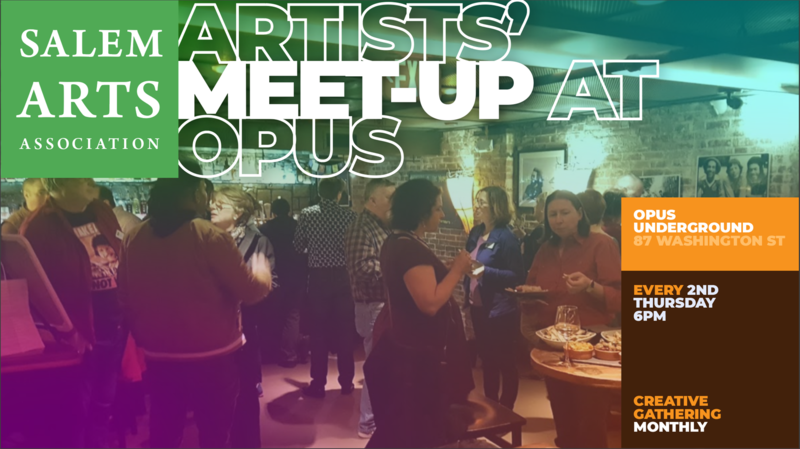 Salem Arts is happy to host our monthly Artists' Meet-Up at Opus Underground. All are welcome! Artists and Art Lovers, Performers and Musicians, Poets and Writers, or however you define your creativity! Join us to mix and mingle with local creatives from across the North Shore. light appetizers are provided and great conversations and friendships to be made. We encourage all to bring new work in progress, impromptu performance, and share upcoming events. Consider it an “Open Mind Night”. We'll meet up every second Thursday of every month. Drop off is at 211 Bridge Street!!! 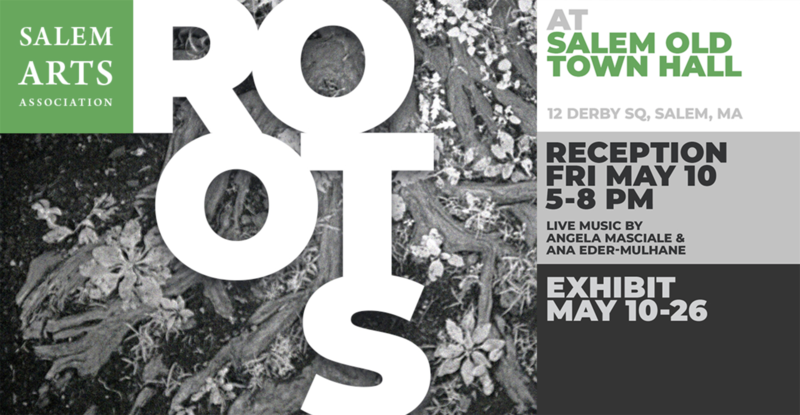 Salem Arts Association is excited to announce the opportunity to submit work exploring the meaning of "Roots" for an exhibit at Old Town Hall. All current Salem Arts members are eligible. “Roots” is one of the themes of this year's Salem Arts Festival. Interpretations include living things and their roots, ancestry, home and country, family and any other creative explorations of this theme. You are welcome to submit work that you previously showed in exhibitions at Salem Arts Association. It is also possible to show larger work. If you are submitting larger work please include a detailed description including weight with your submission. Submission Criteria: All current member artists may submit artwork in a variety of 2D & 3D media for the juror’s consideration. This Membership Showcase encourages artists to submit artwork of any subject matter, medium, style, or inspiration. Salem Arts Members: $5.00 per artwork; Member artists may submit up to FIVE artworks. Special Discount is 5 pieces for $20. Non-Member Submission fee is $10.00 per submission. Non-Member Artists may submit up to three (3) items. Submission Form: Please download the gallery submission form below and provide all required information requested, and follow instructions on the form. Printed copies must be submitted with your submissions. If you are submitting larger items or artwork that is either large, heavy, difficult to carry, very fragile, or requires installation, then please bring on MONDAY to Old Town Hall. All other items with average size and weight may be delivered either take in time. Works submitted at Salem Arts Gallery will be transported by volunteers to Old Town Hall. Notification of inclusion/exclusion: Notification by email by Wednesday May 8, 2019. Pick up of unaccepted work: Any work not accepted will need to be picked up Saturday, May 11, 12:00 – 2:00 p.m. Opening Reception: Friday, May 10, 2019, 5:00 – 8:00 p.m. 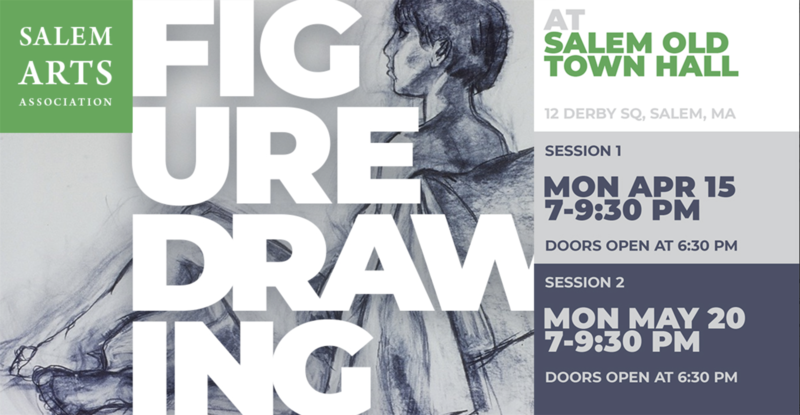 Pick Up of Artwork: Sunday, May 26, 2019 from 5:00 to 7:00 PM at Salem Old Town Hall. Rules & Regulations: Please be sure to read the Salem Arts Association Artist Agreement and ensure you accept the agreement on your online member profile page. Non-members must also agree to our agreement provided at the gallery. Presentation and framing: All submissions must be properly framed, matted, appropriately wired (no saw tooth hangars), and ready to hang. Wired images must have a tight wire positioned within the top quarter of the image height. All submissions will be inspected at take-in to assure they adhere to gallery standards. Submissions not meeting our standards will be rejected. Sales and Volunteer Requirements: Exhibiting Salem Arts member artists are required to volunteer 3+ hours per month when your artwork is on display in the gallery or the gallery shop. Please sign up for a gallery host time slot or make arrangements for alternate volunteer opportunities. Click here for volunteer information and sign up. Please contact gallery@salemarts.org with questions. 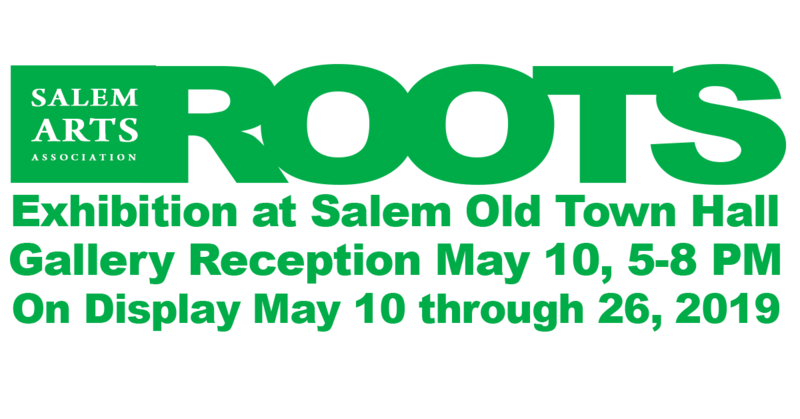 In conjunction with the Salem Arts Festival, Salem Arts Association presents an exhibition exploring the meaning of “Roots”, one of the themes of the Festival. Interpretations include living things and their roots, ancestry, home and country, family and any other creative explorations of this theme. This exhibit is at Salem's Old Town Hall. Opening Reception: Friday, May 10, 5:00 – 8:00 p.m.
FREE - For Salem Arts Members Only, Painting Only! We invite our members to set up on the grounds during the peak season of the Spring flowering at the Gables; to be inspired, and reflect that inspiration in their paintings. We will also be working among the visitors from all over the world which lends a lot of spontaneity to the authentic Plein Air experience. At the residency's end, we will have a one night to exhibit the works of this year's residency at the House of the Seven Gables and then we will bring the exhibit to the Salem Arts Association Gallery to be available for viewing during the Salem Arts Festival and through the month of June. From May 15th until May 28th during their hours of operation 10 a.m. until 5 p.m.
Artists must be cleaned up and exiting by 5 p.m. and adhere to the guidelines made by the H7G events coordinator. The exhibit and reception will be held On Thursday May 30 from 6:00 p.m. to 8:00 p.m. There's a list of guidelines that need to be reviewed and adhered to for the duration of the residency. Only painting done during the 2018 residency at the House of the Seven Gables will qualify and be accepted for the exhibit at the Gables. You will need to sign in at the H7G each day we attend and wear name tags. Salem Arts Stickers will also be available to wear proudly to identify yourself as a member. There will be a one night reception and exhibition of the art work created on Thursday May 30 from 6 to 8PM. After this evening the entire exhibit will be moved to the Salem Arts Galleries at The Bridge at 211 (211 Bridge Street) where it can be viewed during the Salem Arts Festival and through the month of June. Art drop-off: Participating registered artists may drop off for the The House of the Seven Gables for the reception on Wednesday May 29 from 10:00 am until 5:00 PM or Thursday May 30 from 10:00 AM until Noon. ABSOLUTELY no work will be accepted after 12:00 PM on Thursday. Work needs to be dry; No submissions will be accepted after Thursday, May 30 at NOON (firm). Works from The House of the Seven Gables reception will be transferred to the gallery at Salem Arts for display through June. Only the artwork will be transported. Take your table easels with you if you provided any. Items must be properly wired for hanging per your Artists Agreement. Sunday May 19th from 1:30 – 3:30 p.m. In conjunction with the residency, there will be a Plein Air painting workshop hosted by multi media artist Sue Grillo, one of the hosts of the plein air residency for the past 6 years. Workshop will be held on Sunday May 19th from 1:30 – 3:30 p.m.
Salem Arts Association is supported in part by a grant from the Salem Cultural Council, a local agency which is supported by the Mass Cultural Council, a state agency. We're taking it outside in the "open air". The French phrase en plein air, literally "in the open air." The style developed among French impressionists c.1870. The House of Seven Gables garden is in full bloom. Painting outside "in full air" this time of year in this historic and special place is a real treat. We'll be exploring the process of painting through the changes of the day and atmosphere as the hours go by. Plein Air painting is a study on natural shadow and light, so the environment is subject to quickly changing light and cloud formations as well as the greetings by curious onlookers that shift the focus off painting. We'll work toward a finished piece working with these elements. This is Sue Grillo's 6th artist in residence with the Salem Arts Association at the House of the Seven Gables. Majoring in Illustration at the School of Visual Arts and getting her B.F.A. from the Studio for Interrelated Media at The Massachusetts College of Art & Design, she comes to Plein Air Painting with a deep appreciation of surrounding herself with the beauty that is The House of the Seven Gables and the ability and willingness to interact with the elements and the other interruptions that come in between capturing an image of a passing day on canvas or paper. Sue Grillo uses her experience of teaching a wide audience of students over the last 15 years and her experiences with working at the House of the Seven Gables “En Plein” for the last 4 years to guide you through the process. She'll help you choose and isolate an image to focus on, assisting you with a basic approach to a landscape and perspective. Since the workshop will be limited to two hours, we suggest bringing materials that can be managed within that time. This is a tutorial on painting and drawing in the elements. The workshop isn't appropriate for photography since we'll be in one area of the garden for the duration of the workshop. Dress in layers for the changing weather. Thanks to all artists who participated in this exhibition. We are proud to display your work. But all good things come to an end and it's time to retrieve your artwork. If you can not retrieve your work at this time please send an assigned representative to pick up your work or contact gallery@salemarts.org to make special arrangements. Liability & Agreement: By accepting this agreement, the Artist agrees to release, defend and hold harmless Salem Arts Association, and all their officials and volunteers from and against any and all losses, costs, damages, liability, or expenses (including any attorney’s fees) arising out of or resulting from any accident, bodily injury, property loss of the occurrences to any person or persons in service of this Agreement or any part thereof. Salem Arts Association is not responsible for loss or damage and does not carry insurance on artwork/items. Insurance of artwork/items is the individual artist’s own responsibility. There will be a one night reception and exhibition of the artwork created on May 30st from 6 to 8PM. After this evening the entire exhibit will be moved to the Salem Arts Galleries at The Bridge at 211 (211 Bridge Street) where it can be viewed during the Salem Arts Festival and through the month of June. In 1863 the most prestigious exhibition in Paris, the Paris Salon, rejected art work in the new Impressionist style. Manet, Courbet, Whistler and Pissaro were among the rejected artists. In protest they exhibited their work in their own exhibit, the now famous "Salon des Refuses," which brought their beautiful and innovative work to the public - and made them famous. In recognition of the fact that a lot of wonderful work doesn't get accepted into art exhibits we are holding our own "Salon Des Refuses." We encourage artists to drop off work not accepted by the Salem Arts Festival or other exhibits - or any work that you feel represents this theme (e.g., impressionist or experimental styles or mediums, etc.). Submission Criteria: This exhibit is open artists who may submit work in any medium for the juror’s consideration. This exhibit encourages artists to submit artworks that adhere to our theme. Submission Fees: Salem Arts members fee is $5.00 per image submission. Non members fee is $10.00 per submission. Artists may submit up to three (3) items. Submission Form: Please download the gallery submission form and provide all required information requested, and follow instructions on the form. Printed copies must be submitted with your submissions. Exhibition Jurying: Salem Arts Gallery Committee representatives will jury this exhibit. Criteria will be based on execution quality, presentation/framing, and space availability. Notification of inclusion/exclusion: Notification by email by Wednesday, June 5. Pick up of unaccepted work: Any work not accepted will need to be picked up Saturday, June 8, 12:00 – 2:00 p.m. Pick Up of Artwork: Sunday, June 30, 12:00 – 3:00 p.m.
* Non-member artists are not required to volunteer but are subject to a 40% sales commission. Member artist sales commission is 20%. In recognition of the fact that a lot of wonderful work doesn't get accepted into art exhibits we are holding our own "Salon Des Refuses" including work not accepted in the Salem Arts Festival Exhibit, other exhibits and other innovative and avant garde work. In recognition of the fact that a lot of wonderful work doesn't get accepted into art exhibits we are holding our own "Salon Des Refuses." Nietzsche wrote that "all of the arts are sisters." We invite artists to submit work about or inspired by dance, music, theater, poetry (or any writing), or the visual arts or that incorporates visual elements from them (e.g., words, letters, musical notes, musical instruments) or otherwise explores this theme. Notification of inclusion/exclusion: Notification by email by Wednesday, July 31. Pick up of unaccepted work: Any work not accepted will need to be picked up Saturday, August 3, 12:00 – 2:00 p.m. Opening Reception: Friday, August 2, 2019. Pick Up of Artwork: Sunday, August 25, 12:00 – 3:00 p.m.
Nietzsche wrote that "all of the arts are sisters." We invited artists to submit work about or inspired by dance, music, theater, poetry (or any writing), or the visual arts or that incorporates visual elements from them (e.g., words, letters, musical notes, musical instruments) or otherwise explores this theme. Salem Art Association presents our 13th Annual Peabody Essex Museum Inspirational Exhibition, inspired by artwork found in the Peabody Essex Museum and its historic houses. Submission Criteria: This exhibit is open non-members and current Salem Arts member artists who may submit work in any medium for the juror’s consideration. This exhibit encourages artists to submit images that adhere to our theme. Submission Fees: Salem Arts members fee is $5.00 per image submission. Non-members fee is $10.00 per submission. Artists may submit up to three pieces. Drop Off Submissions: Sunday, August 25, 12:00 – 3:00 p.m. Notification of inclusion/exclusion: Notification by email by August 28, 2019. Pick up of unaccepted work: Any work not accepted will need to be picked up Saturday, August 31, 12:00 – 2:00 p.m. Opening Reception: Friday, August 30, 2017, 5:00 – 8:00 p.m. Pick Up of Artwork: Sunday, September 29, 12:00 – 3:00 p.m.
Salem Arts Association seeks black and white photography or photography captures the essence of Film Noir style. It will complement the 13th Annual PEM Inspirational Exhibit and Dark Arts exhibitions. Notification of inclusion/exclusion: Notification by email by August 28, 2018. Pick Up of Artwork: Sunday, November 3, 12:00 – 3:00 p.m.
Local Artists find inspiration in the Peabody Essex Museum and its historic houses. Photography by local artists celebrates black & white photography and Film Noir. Salem Arts Galleries and Shop are located in "The Bridge at 211" at 211 Bridge Street. The gallery entrance is located on Ash Street. Regular hours are Saturdays and Sundays, Noon until 6:00 PM. Salem Arts Association presents and exhibition of photography that celebrates black & white photography and Film Noir. It will complement the 13th Annual PEM Inspirational Exhibit which is being held at the same time. A seasonal exhibit exploring Salem’s history with witchcraft, religion, and Halloween festivities. And we can't have dark without light so be free to share your fun art too. Salem Arts encourages member artists to explore their interpretation of these themes in various mediums and styles. We're proud to announce a Call for Art for “Dark Arts”, a seasonal exhibition exploring Salem’s history with witchcraft, religion, and Halloween. Salem Arts encourages member artists to explore their interpretation of these themes in various mediums and styles. Submission Criteria: This exhibit is open only to current Salem Arts member artists who may submit work in any medium for the juror’s consideration. This exhibit encourages artists to submit artworks that adhere to our theme. Submission Fees: Salem Arts members fee is $5.00 per image submission. Artists may submit up to three items. Notification of inclusion/exclusion: Notification by email by Wednesday, October 2. Pick up of unaccepted work: Any work not accepted will need to be picked up Saturday, October 5, 12:00 – 2:00 p.m. Opening Reception: Friday, October 4, 2019, 5:00 – 8:00 p.m. Opening Reception: Friday, October 4 2018, 5:00 – 8:00 p.m.
Salem Arts Association is excited to close our 2019 exhibition schedule with a showcase of our member artwork. All current Salem Arts members are invited to bring on your best work. Lets show the community what we have to offer in all of our diverse styles and artistic disciplines. Submission Fee: $5.00 per artwork; artists may submit up to FIVE artworks. Special Discount is 5 pieces for $20. Drop Off Submissions: Sunday, November 3, 12:00 – 3:00 p.m. Notification of inclusion/exclusion: Notification by email by Wednesday November 6, 2018. Pick up of unaccepted work: Any work not accepted will need to be picked up Saturday, November 9, 12:00 – 2:00 p.m. Opening Reception: Friday, November 8, 2018, 5:00 – 8:00 p.m. Pick Up of Artwork: Sunday December 15, 2018 from 4:00 to 7:00 PM. Opening Reception: Friday, November 8, 2019, 5:00 – 8:00 p.m.
Salem Arts Association is excited to close our 2019 exhibition schedule with a showcase of our member artwork. Our current Salem Arts members are exhibiting their best work showing the community what we have to offer in all of our diverse styles and artistic disciplines. Friday, September 01, 2017 Opening Reception: “Faint of Art” Local Artists Explore the Fear Factor! Friday, September 01, 2017 Exhibit: “Faint of Art” Local Artists Explore the Fear Factor! Sunday, August 27, 2017 Call for Art: “Faint of Art” Local Artists Explore the Fear Factor! Saturday, July 01, 2017 Exhibit: “Uncommon Threads” NOT your Grandmother’s Sewing Circle! Sunday, June 25, 2017 Call for Art: “Uncommon Threads” NOT your Grandmother’s Sewing Circle! Friday, May 05, 2017 Art Reception: “ReVISION” Looking at Old Things in New Ways! Friday, May 05, 2017 Exhibit: “ReVISION” Looking at Old Things in New Ways! Sunday, April 30, 2017 Call for Art: “ReVISION” Looking at Old Things in New Ways! Friday, February 24, 2017 Call for Art: Member Showcase - Grand Opening! Saturday, July 30, 2016 Art Drop Off for WORLD VIEW Photography Exhibition. Friday, May 01, 2009 John Singer Sargent: Love at First (and Second) Sight! Sunday, June 01, 2008 "Summer Days"
Saturday, May 17, 2008 "Dancing on Top of the Canvas"
Saturday, May 03, 2008 "SALEM CLEAN SWEEPS"
Thursday, April 17, 2008 "Who Knew"
Sunday, April 06, 2008 Member Reception: Barbara Rafferty "9 Lives"
Salem Arts Association is offering the opportunity to submit work exploring the meaning of "Roots" for an exhibit at Old Town Hall. All current Salem Arts members are eligible. “Roots” is one of the themes of this year's Salem Arts Festival. Interpretations include living things and their roots, ancestry, home and country, family and any other creative explorations of this theme. The Salem Arts Association is excited to open our 2019 exhibition schedule with “Young at Art”, a showcase of artwork from local teenagers. All current Salem residents, Salem public, private, charter school students, and members of any Salem-based organization between the ages of 13 -19 are invited to bring on your best work. Let’s show the community what you have to offer in all of your diverse styles and artistic disciplines. We will be opening our 2019 Season with a tribute to Ellen Hardy and Paula Beaulieu. This exhibit will feature artworks by these honorees and all proceeds benefit our Art School Scholarship Programs. 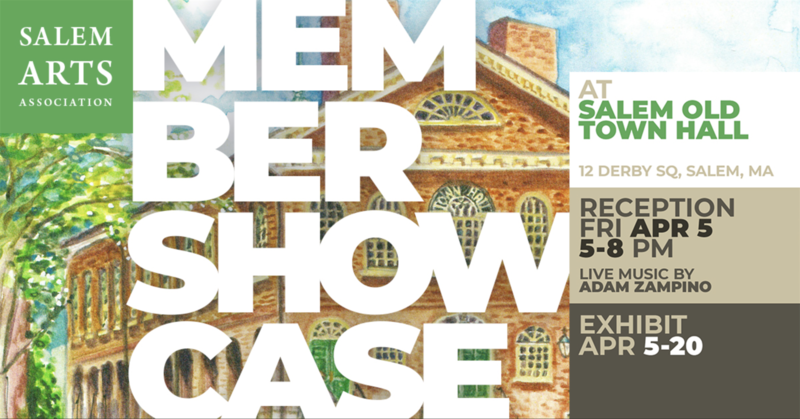 Salem Arts Association is excited to announce a Member Showcase exhibit at Old Town Hall showing the community what we have to offer in all of our diverse styles and artistic disciplines. Online RSVP Recommended. Space is limited. 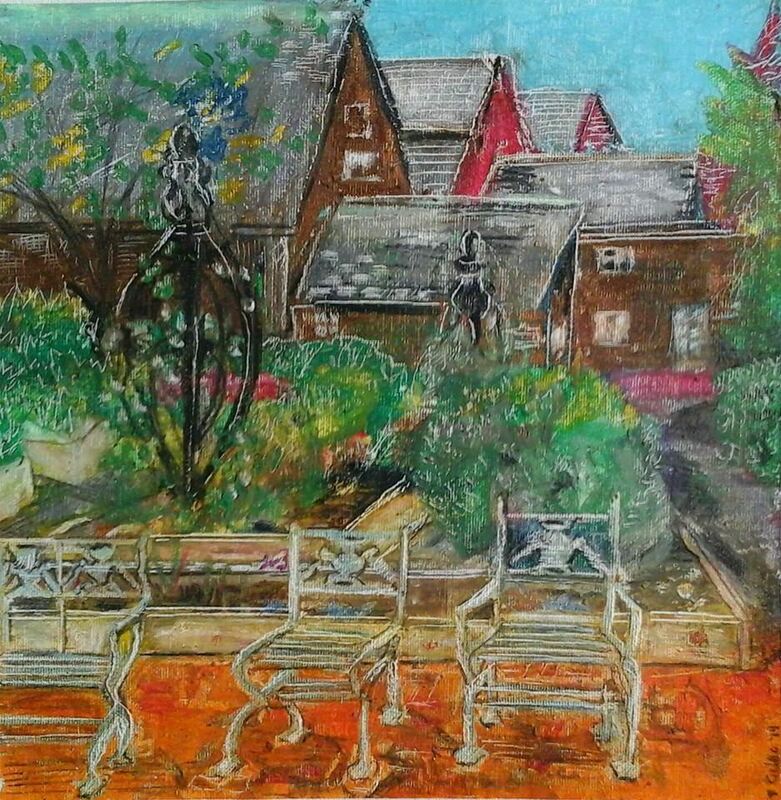 All participating En Plein Air artists are invited to join in the exhibition to be held at the House of the Seven Gables during the Salem Arts Festival following our En Plein Air Residency. After this evening the entire exhibit will be moved to the Salem Arts Galleries at The Bridge at 211 (211 Bridge Street) where it can be viewed during the Salem Arts Festival and through the month of June. Reception at H7G: Thursday May 30 from 6 to 8 PM. Salem Art Association presents an exhibition by local artists inspired by the Peabody Essex Museum collections of art and architecture. Salem Arts Association presents and exhibition of photography that celebrates black & white photography and Film Noir.